Technologies for manipulating the genomes of many cell types are being developed at an increasingly rapid rate using a variety of DNA engineering tools. Current capabilities range from making predesigned nucleotide changes in a gene (single nucleotide changes, insertions, deletions), to generating large scale chromosomal rearrangements including syntenic replacements with foreign chromosomal DNA, and recently to creating an entirely artificial functioning genome. The potential for genome engineering is huge with many applications, for example: to create microorganisms with novel synthetic capabilities; to create via embryonic stem cell manipulation animal models to understand gene function and human disease; and by modification of human somatic cells to correct genetic defects in strategies for therapeutic intervention. Technologies for genome engineering derive in many cases from adapting naturally occurring in-vivo recombination systems such as homologous recombination, site-specific recombination and transposition to the cell types of interest, and in addition creating entirely novel systems such as zinc finger nucleases by protein engineering. Collectively these provide a sophisticated genetic engineering tool kit that makes possible in principle the design of any desired sequence specific genome manipulation. 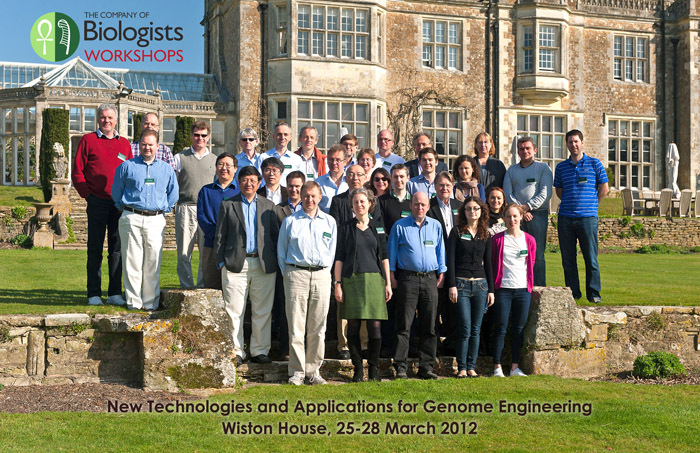 This Workshop will bring together the experts who have pioneered these and emerging technologies in genome engineering together with leaders in their implementation in diverse fields encompassing studies in fundamental biology to biotechnological and biomedical applications. It is anticipated that this will stimulate further thinking into new approaches or refinements to these technologies and exciting ideas for their future application. The Workshops provide leading experts and early career scientists from a diverse range of scientific backgrounds with a stimulating environment for the cross fertilization of interdisciplinary ideas. The programmes are carefully developed and are intended to champion the novel techniques and innovations that will underpin important scientific advances.